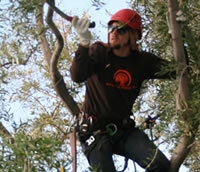 Living Tree Service, Inc. is a Phoenix AZ tree trimming and tree removal service. 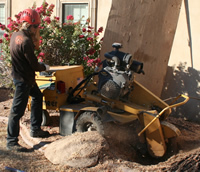 Locally owned and operated by certified arborists, we are committed to proper tree care and customer service with a focus on safety and nationally recognized standards. ★ ★ ★ ★ ★ Please check out our customer reviews. We had a large and beautiful lemon tree where one of the 3 main branches broke off. Nearly half the tree gone. They did a great job at removing the broken section and trimming down the remaining to make it look like a half way decent tree again. They also explained why it broke and how to prevent it again. This is the second time we used them and will not hesitate again. Dan and crew are amazing. They had a big challenge with my tree and did a fantastic job. All were respectful and professional. They also did a great job of cleaning up the mess. We had our eucalyptus dropping branches, creating hazards to our property and our neighbors and so we called on Living Tree Services for help. I was impressed by the crew, the care they took to protect structures and other plantings as they trimmed our eucalyptus, and the end result. Our tree was balanced and looked very well. It is so terrific to have a service that is not just lopping off branches but it considering the entire well-being of the tree. 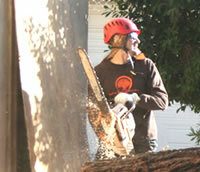 I will be counting on Living Tree Service for all our trees to keep them up to their full potential. Dan is not only an award winning tree climber, he is also the best tree expert I have ever used, His crew is great at shaping and pruning trees to look good,, but also to be safe in our wind and monsoon season. I have two large 23 year old mesquites that get compliments, because they are still standing and look wonderful. It is always a pleasure when they come, like old friends I have known forever. I would never let anyone else near my trees!